Todays weekly project meeting took place today at 2pm between Chris Hewitt (PCC Project Manager) David Glew (Architect) and Paul Mendham (Principal Contractor). I am pleased to report the project is now slightly ahead of schedule and the Chancel roof will be finished early next week. The scaffolding will then be reduced in size and moved to the nave. 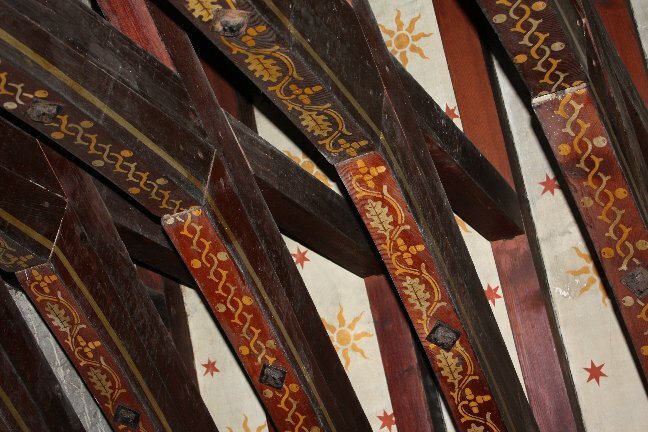 Hirst Consevation were also on site today and have been completing the final touchup of the chancel ceiling and rafters. Over the next three weeks chancel lighting will be installed and some stencil restoration will take place to the chancel east wall. 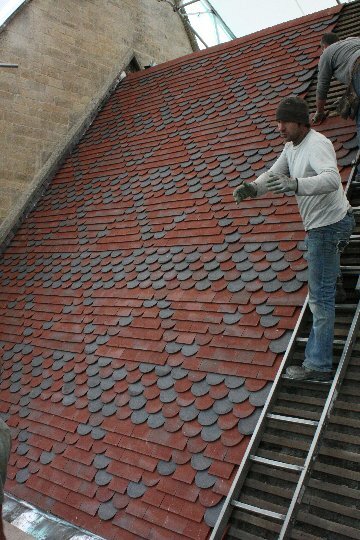 If anyone wants any roof tiles all those currently on the North Nave aspect are for sale. 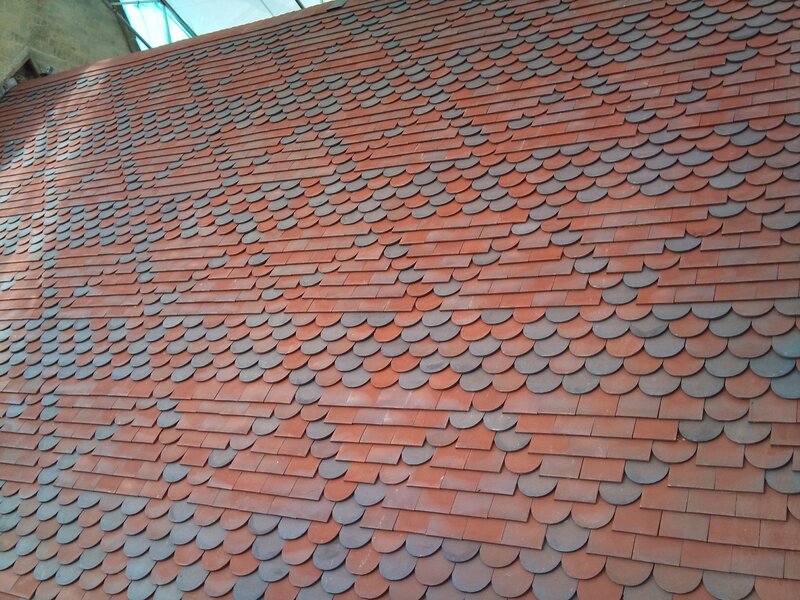 There are approx 8000 tiles ( 4500 plain 10.5" x 6.5" red dreadnought machine made & 3500 red club tiles made by Nostell). They are currently on the roof but are available from early December. If you want to see a sample close up, contact Chris Hewitt 01526 320645. The History of Nocton: a presentation of a lantern slide show first shown in October 1911, in Nocton Village Hall, Main Street , Nocton, on Wednesday 12 October 2011 at 7.30 p.m. The script and original images from the lantern slides have been saved, so the evening will take you back to Nocton in 1911. Desserts and wine to follow. Tickets, in aid of buying flowers for the 2012 Nocton Church Flower Festival , are £5 if bought in advance, or £6 on the door. 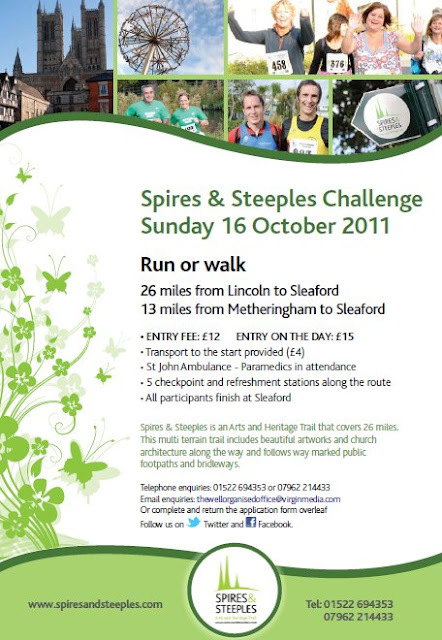 For tickets, phone 01526 322930, or 322739, or 321455. 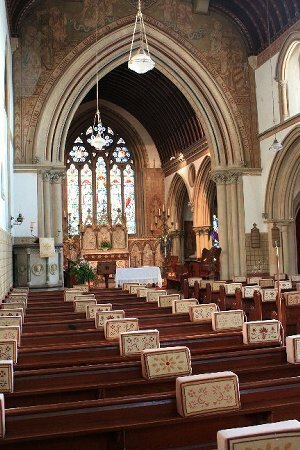 The South side of the chancel today, just how it must have looked in 1862. The pattern is quite complex and has been the subject of much debate. 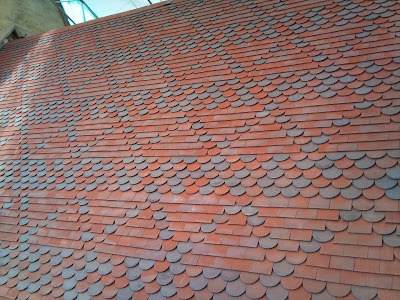 Thanks to the roofing team for their fabulous work to date. After much debate the roof pattern has been determined and is going on to plan. The conservators have taken away the damaged North chancel fresco and are removing wall salts before it is restored. 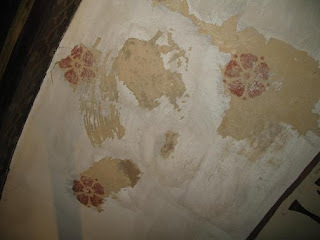 The chancel ceiling has been cleaned and is about to have some slight restoration work. 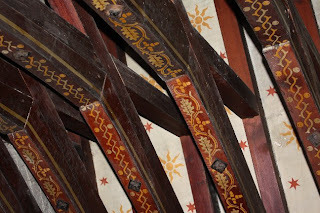 We have also decided and have permission to install ceiling lights in the chancel to illuminate the newly restored and we are also going to restore the original 1875 stencilling to the East Chancel wall over the great window. Cleaned and partially restored Chancel Ceiling. 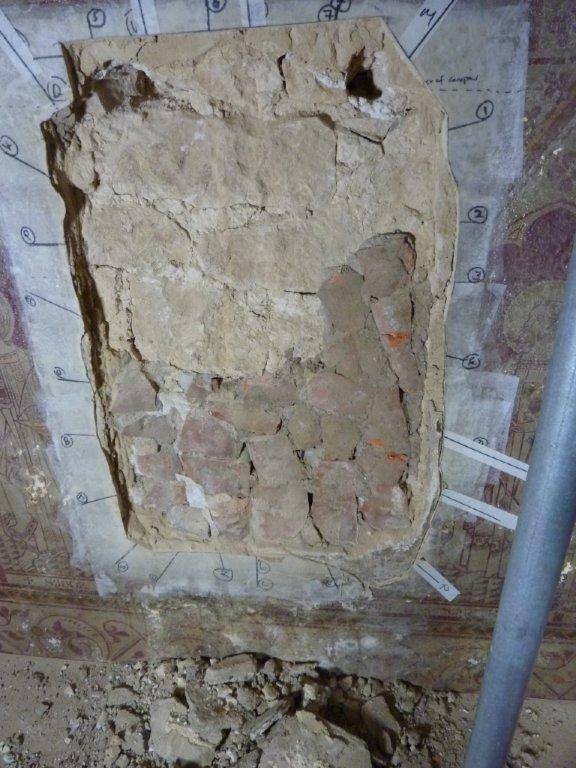 The damaged fresco on the Chancel North wall has been removed for restoration.